Engine Two stroke, single cylinder. Honda introduced a series of light motorcycles in the US and in Europe. Honda's production lines of these models were in Spain, Belgium and Sweden. Because of important law and insurance changes the sales in these types of light motorcycles decreased enormously. As a result, production in Spain and Belgium came to a standstill in 1992. MBX production lasted another year and stopped in 1993. Only in Scandinavia a limited production for the local market lasted until 1997. After that Honda's M productions came to an end. 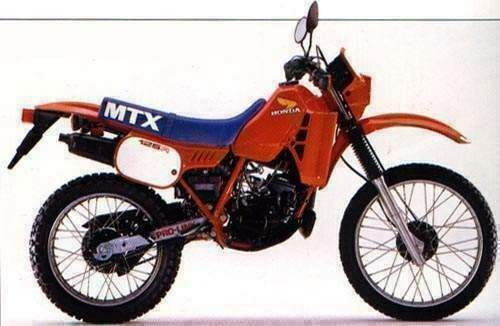 There were 50, 80, 125 variants of both the MBX and MTX as well as a 200c version of the MTX - all two-stroke singles - and the related MVX250 water-cooled two-stroke V3. 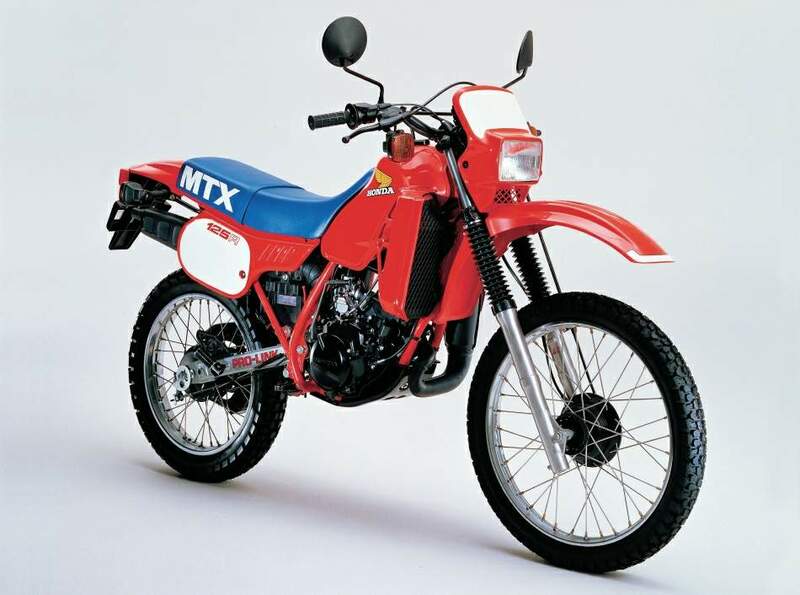 The MTX125/200R started life in 1983 as RFD models and were ungraded in 1985 into the RFF. Changes includes dropping the drum brake at the front and replacing with a disc, bigger forks, revised graphics, a revised rear shock, revised CDI and, in the case of the 200, a new swingarm. The 125 cc motorcycle come in both restricted and de-restricted form. The de-restricted version and the 200 cc version had ATAC chambers operated by a piston valve attached to a mechanical governor.